Rated 5 out of 5 by cabanaeast18 from Sunny game I really enjoyed the graphics, story and the characters. It's fun having the helpers and the flaming fairy hint. I didn't have a problem moving the little helpers. Yes, there were adorable animals to enjoy, also. I agree with the positive reviewers. There are plenty of dark and difficult games out there. I play for the challenge, but most of all for relaxation and enjoyment! Thanks, Elephant devs! Rated 5 out of 5 by J4016C from A FUN GAME This is not a 2 star game...I am enjoying it. It has all the bells and whistles for a 5 star game...do I think it is one of the top 5 games of 2016 so far...no. But it is fun and challenging!! I am going to purchase this game! Rated 5 out of 5 by matai9 from Magical creatures assist in Midnight Castle Quest Fans of the Midnight Calling games are treated to more of this continuing saga through the eyes of Jeronimo. The innkeeper who appears in the Free to Play version shares his tale of saving his sister from a witch's curse, and his romance with Valeria, who is tasked with saving her mother from a witch. The pair also take turns in saving each other. You play as Jeronimo in the main game and Valeria in the bonus. Although there are a couple of "Super Puzzles," I didn't find them to be too difficult. Some standouts are a mini game where the perspective is on a tight rope up in the sky. Your skill at balancing involves waiting until red balls are in the center of a circle and then clicking with your mouse. This became much more challenging (and fun!) in hard mode. I also enjoyed matching up shapes and changing legs to fit a large spider, and a maze where the player chooses the correct action to proceed to the exit. Hidden objects were clear and well executed, with a variation on silhouette, traditional list and riddles. There was also a more challenging mix of finding differences and replacing them with shapes that were scattered around a grim reaper figure. The magical creatures are naturally adorable, some are strictly otherworldly -- a long eared creature and dragon -- as well as a pair of regular birds that assist in capturing unreachable items you will need. Several extras are hidden throughout the scenes, including 26 morphing objects, 12 collectible tarot cards and 40 coins. The morphing objects are just a personal challenge to see if you can spot them, and the tarot cards are chosen at random, each one reading out a fortune hovering above a glowing blue crystal ball. The coins are used to buy food such as a carrot and fish food so you can watch creatures come out to play in a serene setting. This is the second game after Midnight Calling: Anabel. I loved the first one and enjoyed this one as well. I also play the free Midnight Calling version. I anticipate this being a solid continuing series with so many characters in the original game who will have adventures to share. Rated 5 out of 5 by calabashbb from Brotherly Love What a great game, the storyline was thrilling. Graphics exceptional, demo played without tutorial was easy to follow with the map. Will definitely purchase this sequel. Rated 5 out of 5 by jade_en from Intriguing Storyline First off, this is my favourite game genre. With all of the real-life missing children & murders in the world, I love to play fairy-tale type (fantasy) games. So, I am a tad biased ;) I found that this game has a new approach to story telling. While you play the narrator (innkeeper/ex-thief), you also get to see the witch's point-of-view in cut-scenes, et cetera. Some people are born evil witches -- and others are made into evil witches. There is alot to do in every scene. Even the zoom-ins have several tasks which require completion. This is a must-have game for me!! Rated 5 out of 5 by Lissi22 from Amazing Game I like the Story of the game and the beautiful graphics. 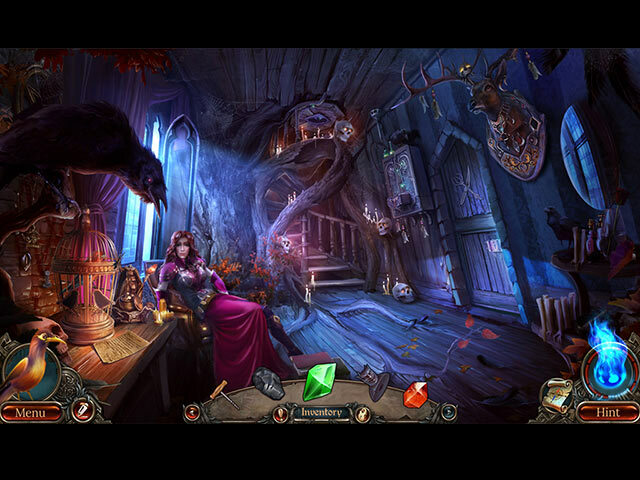 Midnight Calling are one of the relaxing games, not so difficult in the HOP`s and that`s good. 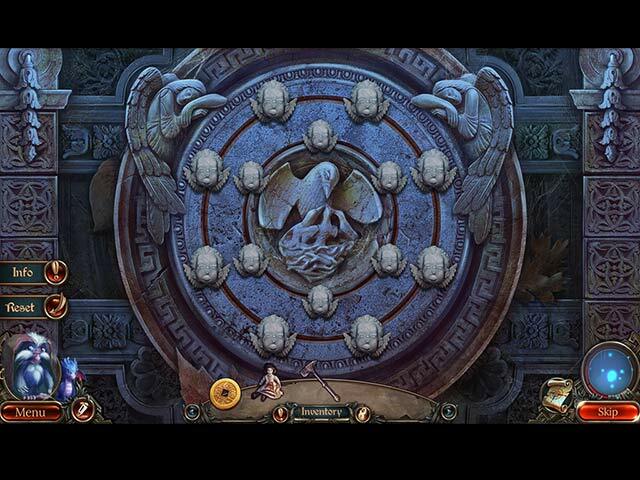 Rated 5 out of 5 by just_in from Great Hidden Object Gae Just finished the trial portion of the game. The game is challenging with the HO and Puzzles. Tho the visual quality did present some delays in the HO scenes over all it was great. The story line was good and kept good pace with the game with out interrupting the challenge to many times as some do. 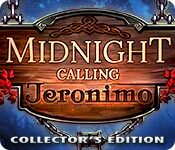 This is the first time I have tried a Midnight Calling game and am going to purchase not only this one but look for others. I am giving this a 5 star rating as it held my interest through the whole demostration. I would recommend this game for anyone who loves HO and Puzzle games. Rated 5 out of 5 by lcmoody from Much better than previous reviewer suggests The previous reviewer gave this only a 2 star. This game is worth 5 stars. It is not a difficult game and is quite intuitive. Probably not for more experienced players because of lack of significant challenges but would be a great game for the lesser experienced player/adolescent. 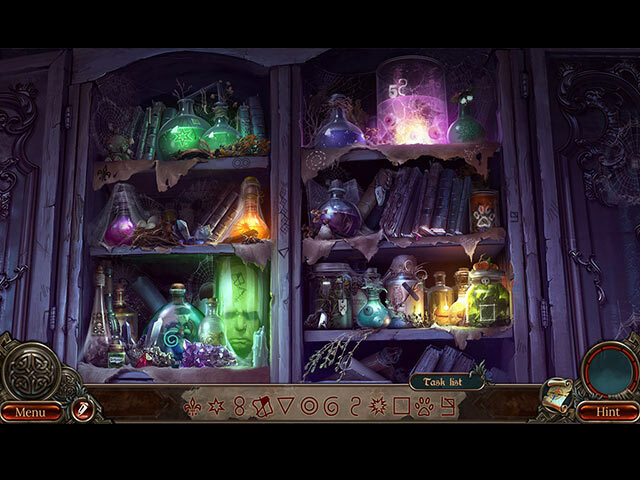 Rated 4 out of 5 by fiewi1 from Against the witch with the help of my friends... A well crafted game, with beautiful artwork and lots of things to do in every scene. You'll have 2 little furry friends along this journey; one that flies and one that climbs. Some remarks: the team could work on the music score a bit more, the icy drop on the lower right that serves as a hint could be much-much smaller and the Bonus part, couldn't be something different than a repetition of the main game. Apart from that and from the relatively short game duration, it's a very good effort, that has room for improvement, but all the right ingredients! I particularly liked the narration twist. Rated 4 out of 5 by theswede from who needs cats our dogs when you got a dragon and grimlen a little cartoonist but enjoyed the game !!!!! Rated 4 out of 5 by krinneyd from This was a great game to play....loved the graphics! I am particularly fond of fantasy games, as the graphics are usually bright and defined. I prefer cartoon characters rather than real because I want it to feel out of the ordinary. And, I love a good story. This was a story with many side stories in it, which I really liked because it made each character significant. I'm really glad I didn't go by the 2 star review, for me that would have been contempt prior to investigation..... and I prefer having my own experience especially when it's one of my favorite developers. Although I am not fond of all the helpers, the ones in this game had relatively few tasks so it really didn't affect the game play. My only complaint is I wished it had been longer. Not that it was particularly short, it was the usual 3 to 4 hours with the extra chapter but not long enough for me. I do love Elephant Games. Rated 4 out of 5 by mmdgaston from review of complete game and bonus i thought this game was alright....my one problem ..the little animal helpers......please, game makers, get past this...the graphics were great, you have cards to collect...morphing objects....i never go into long details of any game..i think it ruins it for the gamer.....besides, all you need to know BIG FISH.has delivered all that info on every game...that said....the puzzles are very easy,still a good game. Rated 4 out of 5 by lbtgam222 from I liked it! All of the other reviewers have given the details, I will just say I enjoyed the game, it was a bit easy, but had lots going on. The story was decent and easy to follow, I didn't mind the helpers, they were not in your face all the time. I really liked that the collectables continue into the bonus game. I thought it was a really pretty, laid back game with enough bells and whistles to make this a buy for me! Nice Job! Rated 4 out of 5 by Sante001 from Nice Relaxing Game Not much to add to the other reviews but I want to add my "two-cents" worth. This is a relaxing game. Graphic quality is excellent. While the game was not difficult, I enjoyed it because there are the times that you just need to "work" the game vs. the game working you -- Smile. Rated 4 out of 5 by Novella2 from It's Midnight already? I didn't think Sunnyglow disliked anything! Don't want to be contrary, and I do agree about the "helpers," but it's a fun way to while away some time, and with the weekend deal, don't feel you have much to lose. I can't add anything more to what has already been said, just wanted to put in my two cents! Try it and see what you think. Rated 4 out of 5 by karema from better than expected i played this game because i wanted to see if it was as bad as the 2 star review said it was. it wasn't. what it is is a hoa game with all the bell and whistles of countless other hoa games i have played. the graphics and sound are excellent and i didn't find the story line muddled, although it wasn't very original either. dying family member that you must heal. the story is told by an old inn keeper that you encounter. the game play wasn't any easier or harder than other games of this genre. neither were the puzzles. i think, for me at least, i may have played enough games that its rare that i come across something i haven't at least seen in an earlier game. the game didn't lag because you could accomplish tasks relatively easily. the story line was clear and tasks followed the story. i like the little helpers, they break up the game and add interest. you don't have to click and drag them to the object, just click on them and then on the object and they move right along. yes, it does add a second or two to the task, but so what. to me, its a more interesting than just clicking along by myself. the werewolf does serve a purpose. you will find out as you play. the other animals i ran across in the demo also had a role of some sort to play. give the game a try. i would be interested in reading other reveiws. Rated 4 out of 5 by Torpedo1 from What Could Have Been This game was on the right track and had they been a little bit more deluxe on HO's and Puzzles it could have been a contender for game of the Year. I like the Characters, but the main Character who I suppose is Indian? But he sounds like a pirate. The first HO was dark and I though uh oh, but it was pleasant and done right. Now I think all dark HO's need to know how it should look. Then later a darker HO, but they did not put any objects in the dark area which is acceptable. Hate it when HO's are to dark and they put things you can not even begin to see in the dark. This would be a great kids game it was all too easy. The Jump map was fairly good, I Loved the little cat annoyed sound on front page when you disturbed him, I liked the deer bounding in the forest. You are to collect tarot cards which I only found 2 of. So not sure if they were just that sparse or that hard to find. Collect coins which the window for that would not let me in. I had to be real fast and click on it just right to see what the coins were for. I thought it was pleasant as you could buy food to bring out creatures. Kind of like you are making a serene looking scene. Would rather of collected Dragons or mythic creatures for this type of game. Game was a little slow but had a lot to do. Game flow was descent. Morphing objects to look for and helpers. I would buy the game on sale. Rated 3 out of 5 by greenshade from Buyer's remorse sigh...... as it turns out this game was way too easy to play for this intermediate gamer. Am now forcing myself to play the bonus chapter..... which is also not challenging in the least. Rated 3 out of 5 by fehrplay from If you do not like helpers, probably dont buy this game.. Three star for beutiful graphic, seriously show me prettier game.But gameplay is same old style wich we know from previous Elephant games and shape locks well its overused gently speaking.Its really shame, some new gameplay and mechanics is really need. Rated 3 out of 5 by Poodlebear from Great game but WAY too short. The good stuff is gorgeous graphics, interesting (if not original) storyline, and some newish puzzles including a few multi-layer door puzzles that were excellent. BUT as much as I enjoyed this game when I went back to play it out, after just a couple hours last night, I found I was already at the end of the game!? Now maybe it was the very fact I was enjoying myself that made it seem short but I don't think so. I play every game of this type if it's even half-good and this was noticeably shorter. What particularly perturbed me is I paid full Game Club price for this and I usually wait for sales to buy CEs. Is it better to have a game that's not quite as fun but lasts longer? I don't know, but I am left feeling a little cheated. The 3 star rating is because of this. It's really a 4.5 star. Rated 3 out of 5 by pattyjo from Not Again Please Ok Here is the thing. I love the story and the art work. Every thing is well done and beautiful the music and the puzzles are good. The problem is the - - -game play ? go here for the candle go here for the candle holder then go here for the fire to light the candle. Now you can light up the whole in the tree and see what is in there OMG an HOG !! You made me run all over the place for some lite so I could do another HOG ??really. This is not fun it is tedious. More story and less running around for bits and pieces please. Rated 2 out of 5 by Granny_Gruff from When My Buddy Left, I Should Have Followed Him! As a tavern owner formerly known as Jeronimo, I have earned the right to bore my customers with my stories, so I do! I was a thief in my younger days and stupid then too, so let me tell you a little story about the time I went on one more heist, this one to save my little sister's life by stealing potion ingredients for her. My story starts with my good friend standing in the forest near the home of the evil witch we will be raiding for the items needed. After assuring me - twice - of his desire to aid in my quest, my friend leaves me in the forest to go on alone. I am just dim enough to do so. How smart and lucky am I? (As the player, I must confess that I am no wiser - I kept on with the demo!) Good stuff: Collectibles and achievements include morphing items, along with the usual game play elements and CE bling expected in a game. Artwork is also OK and you get not one, but two, cute helpers. Bad stuff: Any story that starts as this one did, along with absolutely average game play and elements is not on my games purchase list. I thought that reviewers had savaged cute helpers enough to discourage their use, so I don't see how two of them could be better than none. Beyond that, if I bring an old and good friend on an urgent job to save a family member and that friend bails before we even get to the target, I pretty much deserve what I get. (Sorry, sis.) And any available suspense is killed if an old man is telling the story about his youth! Now that so many new arrivals from Eipix have failed us, I'm sorry to see Elephant Games going down the same sorry road. Please be sure to try this before purchasing. Rated 2 out of 5 by bfeinstein from It's like every other game Elephant Games puts out Let's see if you have played a game like this before: --You are in a medieval time where an evil witch has placed some sort of curse on a family member. --You will go on some sort of quest to heal this family member. --As part of this quest you will encounter numerous locks secured by indentations in various common shapes like animals and Lucky Charms marshmallows. --You will find the trinkets that go in those indentations randomly sewn into mattresses, secured behind bricks, hidden in statues and otherwise put in places no one in the real world would keep them. In the world of Elephant Games, pieces that open locks can only be located in places that would never have pieces of locks in the real world. --You will never find these trinkets in the actual possession of the individual who may have been using these odd locks to secure something. In the world of Elephant Games, anyone who locks something up loses the token which opens the lock causing it to be located in an obscure place that makes no sense at all in terms of either storyline or logic. If this seems novel to you, then you might find this game interesting. If you think you this sounds familiar, you have played other games by Elephant Games. Now this game is receiving decent reviews by others. Maybe others like going on trinket hunts to find things in places that make absolutely no sense. Maybe others like playing the same kind of game with the same exact gameplay over and over again. But I am not like that. Instead, what I saw was the millionth iteration of the same HO/adventure game Elephant Games churns out each month. Nothing new in terms of story or game play. Just a reshuffling of the same plot points and puzzles that you find in all of their other games. Same graphics and animation style they have gone with for the past few years? Check. Same slow and wooden voice overs? Check. Same pointless collectibles and morphing objects which add nothing to the story line but just add to the completion tasklist? Check. This would have been fun the first time through. But for most BFG players, this won't be the first time through. Or the fifth time. Or the tenth time. Don't reward the developers for giving you the same old thing. Don't buy this game.